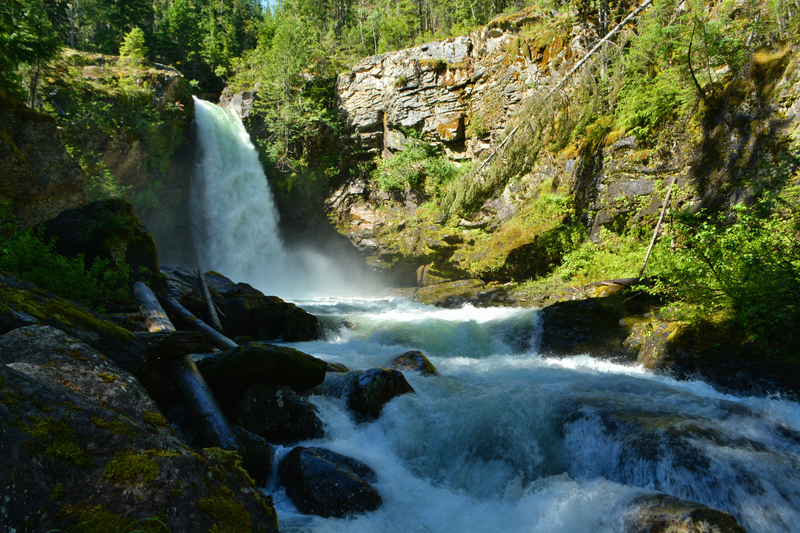 Blanket Creek Provincial Park lies among lush forests and the rushing glacial water of Blanket Creek, which takes a moment to descend the 45 ft Sutherland Falls before entering the Columbia River (Arrow Lake). Some of the water is diverted into our swimming lagoon, which is getting much warmer by this time of year! It sits in the middle of a large day use area, surrounded by a sandy beach and plenty of shade. Come beat the heat, and relax in a private campsite. Reservations are highly encouraged.